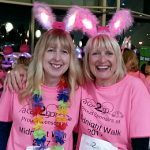 Why take part in the Midnight Walk? People take part in the Midnight Walk for all sorts of reasons. Read some of their stories here. 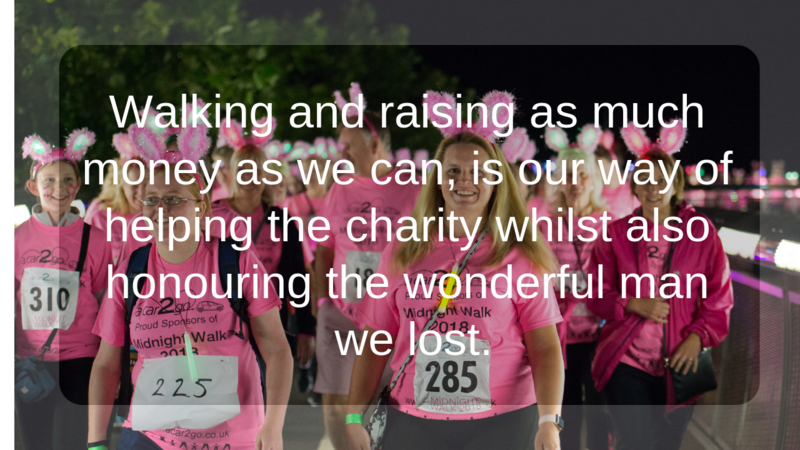 According to most people who have done it, the Midnight Walk is not just a fundraising event. It can be a team-building exercise, an opportunity to catch up with friends, a time-out from busy lives to reflect and remember loved ones, and even often provides a goal for those trying to get fit. Register now to take part in the 10th Midnight Walk in 2019 on Saturday 22 June. David Watts took part in the Midnight Walk in 2018 in memory of his wife Barbara, who was cared for and died in the Hospice in 2013. "Like most people I assume we had a vague idea of hospice care but until it became necessary we had no idea of what it involved. Indeed I suppose if the idea of Barbara leaving home to stay in a hospice had been suggested earlier we would have resisted but, once we knew what was possible, we would not have had it differently. The hospice system seems to be a necessary and humane part of the system as it can provide a more personal and intimate level of care at the time when both the ill, and their families, need an especially high level of support and kindness. 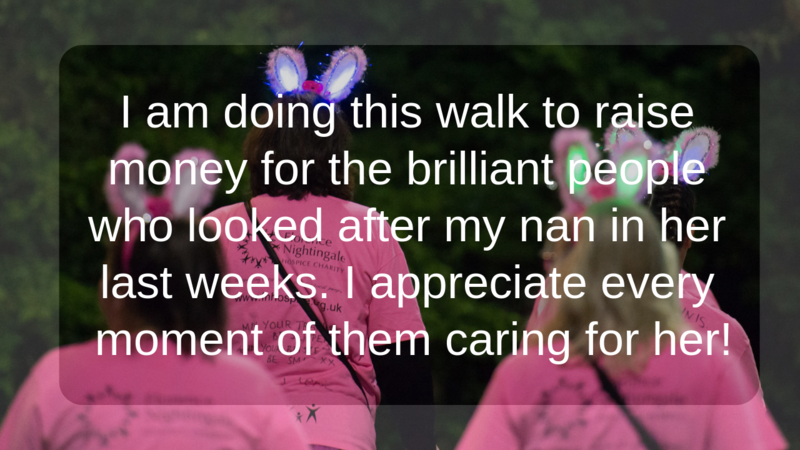 I took part in the Midnight Walk as a way of making some effort to thank Florence Nightingale Hospice for making Barbara’s final days as comfortable as was possible." In 2018 the Midnight Walk was opened up to include men for the first time. 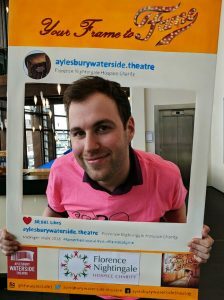 Chris Leathers, from the Waterside Theatre, joined the Waterside Team that year. “It’s for an amazing cause and I’ve heard there’s a great atmosphere in the lead up and on the Walk itself,” says Chris. “I’ve always felt envious hearing my colleagues’ Walk stories so I’m pleased I’ll be able to share this experience with everyone walking this year now that men are invited. “I know a number of people whose family members have been helped by Florence Nightingale Hospice Charity at the most difficult time in their lives. Facing a terminal illness is unimaginable, the support the Hospice gives to not only the brave person suffering with a life-limiting illness but the family members who have to come to terms with the loss of a friend or family member is crucial, not only for your mental health but your physical health. 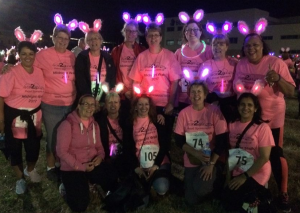 Poplar Grove Practice gathered together a large team for the Florence Nightingale Hospice Charity’s Midnight Walk – fourteen people in total. Made up of members of the Admin and Reception teams, doctors and the Practice Manager, the team also has patient representation, with the Chair and Vice-Chair of the Patient Participation Group joining them. 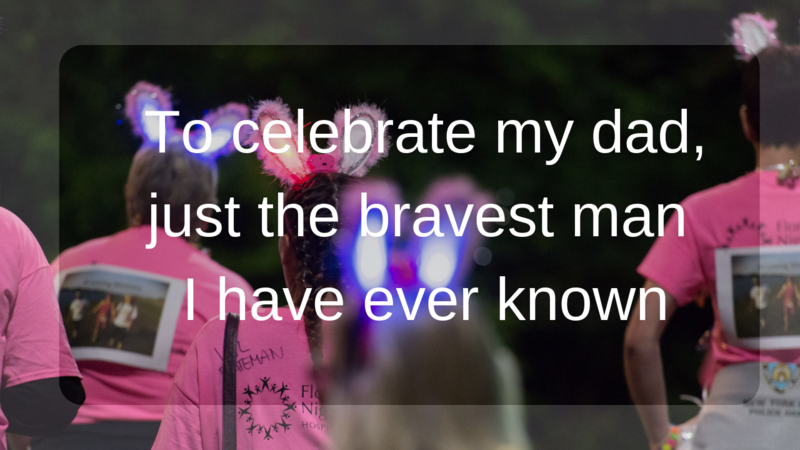 According to most people who have done it, the Midnight Walk is not just a fundraising event. It can be a team-building exercise, an opportunity to catch up with friends, a time-out from busy lives to reflect and remember loved ones, and even often provides a goal for those trying to get fit. For the Poplar Grove team, it’s all of those things, as Paula explains. 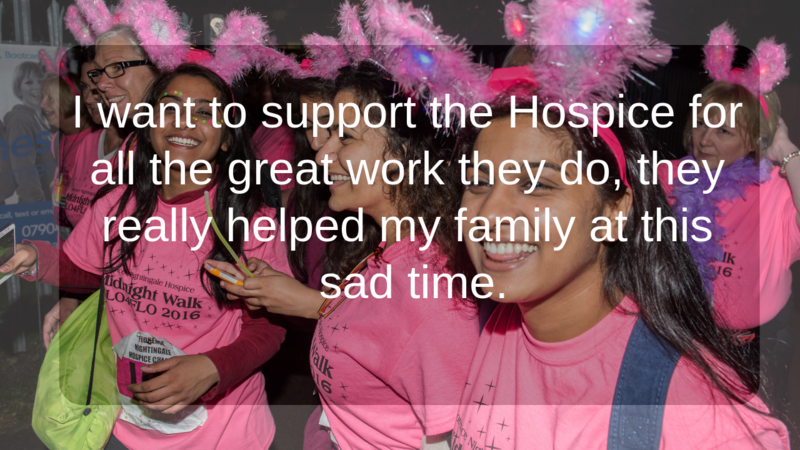 What’s most noticeable is the sense of being supported and encouraged by fellow Walkers, which echoes the support and encouragement the Hospice gives the friends and families of those it cares for. “There was a fantastic spirit last year. You meet all these amazing ladies who want to give something back to the community; everyone supports each other - whether you know one another or not…we were sat having our breakfast when we were told the last six miler was just arriving - the hall emptied as we all went and clapped her 'home'!” says Paula.